No data, cellular or wifi required, while driving. On the 1. 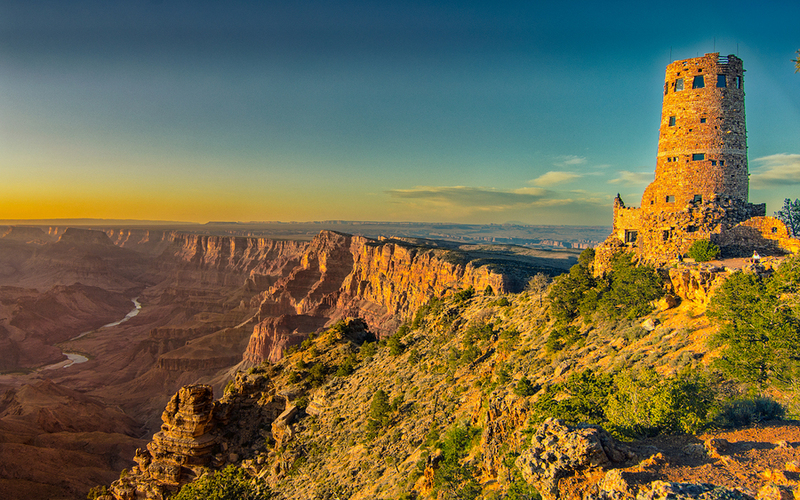 – 1.5hr drive towards the Grand Canyon South Rim, listen to fascinating stories and a plan for exploring the Park. We’ll make a quick geology recap interesting, share the achievements of a woman who shined in the male dominated field of architecture, tell you about some of the local wildlife, recount the drama of some unscrupulous entrepreneurs and direct you to where you can learn more about local Native American tribes. Once inside the Park, we tour straight to the best viewpoints of Mather and Yavapai on a loop around Grand Canyon Village. Then our drive extends along Desert View Drive, to the many recommended viewpoints including Grandview, Lipan, Duck Rock, culminating with a visit to Desert View Watchtower. Most of these viewpoints provide very easy and comfortable access to enjoy the changing colors as light and shadow play across crevices throughout the day. The tour continues on the drive away from the Canyon, ending back in Flagstaff, Cameron or Williams. Driving distance to Grand Canyon South from; Las Vegas (75 miles/ 442 kms ~4hrs each way). 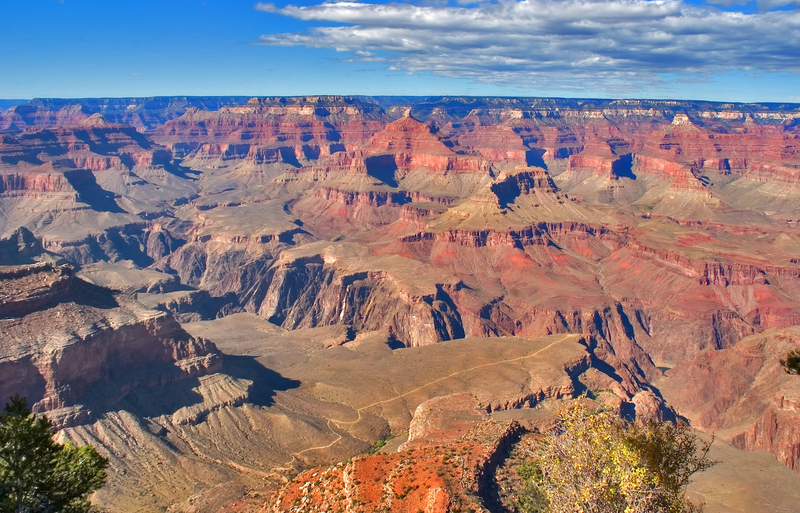 Much closer to Las Vegas is the Grand Canyon West Rim, and you can combine our tours to Hoover Dam and Red Rock Canyon road trips also. During peak season (March – September) Hermit Road is only accessible by the free shuttle bus service that runs every 15-30 mins or by bike rental, which should be reserved well in advance. The extremely popular Grand Canyon Mule Rides to the bottom of the canyon with overnight stay at Phantom Ranch book out months in advance. Book early. 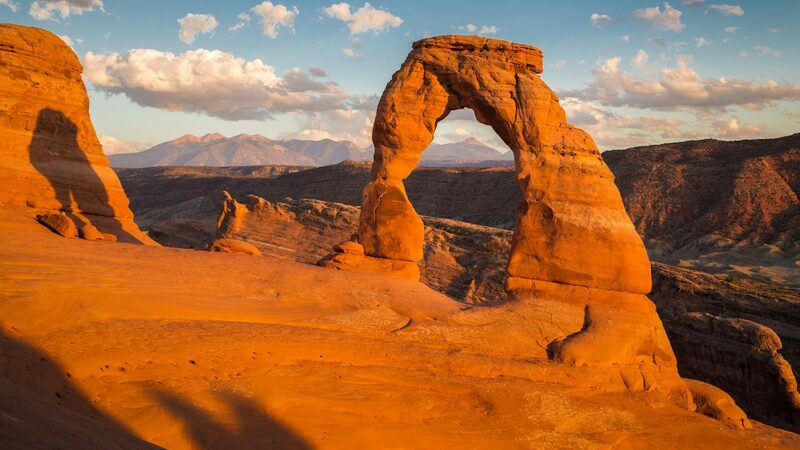 There are a number of excellent National Park Service Ranger led programs available. Again, recommend booking early in the day. 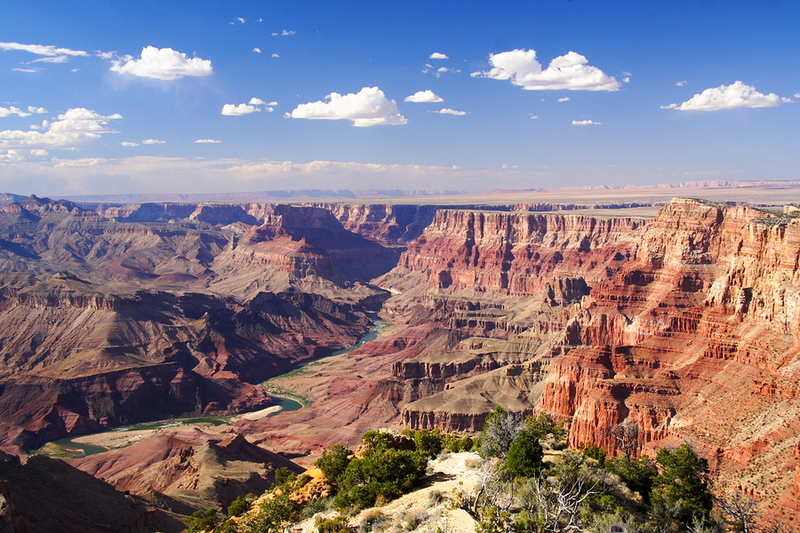 Hiking in and around the Grand Canyon should be well planned. Conditions can range from extreme heat and cold. Please check in at the Visitor Center for latest conditions. 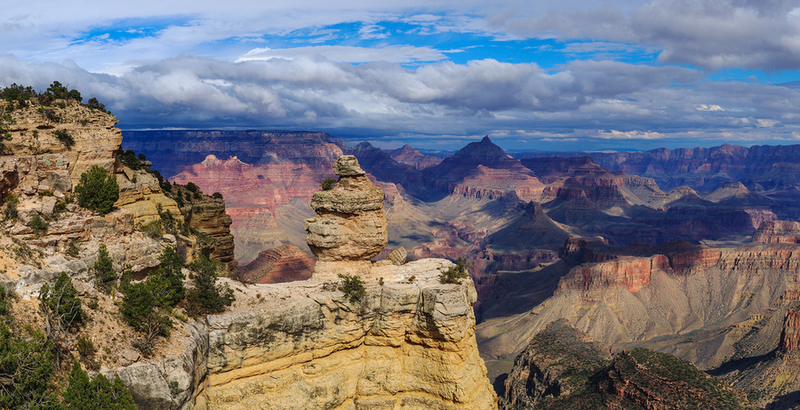 Take binoculars so you can see deep into the Grand Canyon crevices and spot any condors soaring above. The tour officially starts and ends at Williams, Flagstaff or Cameron. Or you can join and pick up the commentary anywhere along the route. The commentary will automatically trigger at the next commentary point. From Williams. If arriving from the west, you will start the tour from the town of Williams. From the town, the tour leads us along route 64 all the way to the park’s south entrance. From Flagstaff. There are 2 choices to get to the park from Flagstaff. To enter using the south entrance, join the tour in downtown Flagstaff by driving north on Humphreys St, which becomes route 180. The alternative is to enter at the eastern entrance by using highway 89 to drive north from Flagstaff. If arriving from the North Rim or other places north using highway 89, join the tour route by turning onto 64 at Cameron. 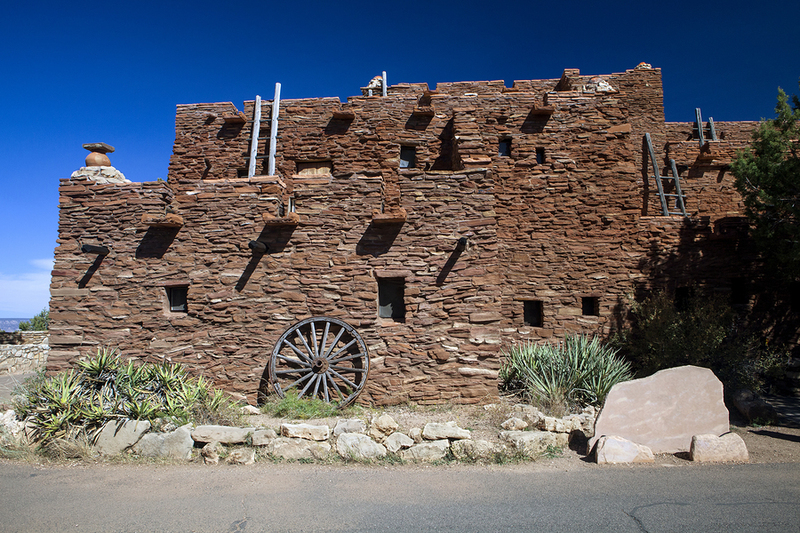 Listen to stories as you drive to the Grand Canyon South Rim from Flagstaff, Williams or Cameron. Once inside the Park we also tour to all the best sites in the Village and Rim route drives. 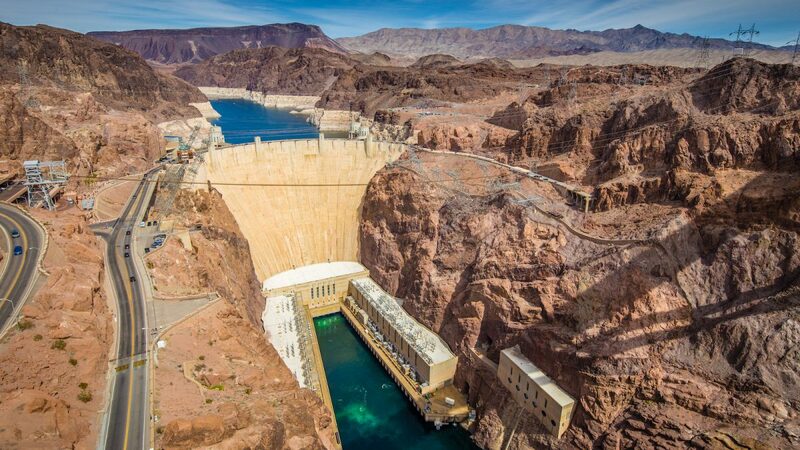 Includes 3 recommended sightseeing trips from Las Vegas: Hoover Dam, Grand Canyon West and Red Rock Canyon. Rent a car and explore past the Las Vegas Strip. It can be very hot at the Rim of the canyon, and it actually gets hotter if you decide to hike down inside the canyon. Make sure you bring lots of water to drink if you plan on doing any hiking, even if you are only hiking along the Rim Trail at the top of the canyon. Outside of the Village area, there are no water stations, so make sure you carry enough. Bring binoculars if you have them. The views are fantastic and you will enjoy them even more. Watch the birds soaring around the canyon, and you might even find Big Horn Sheep sunning themselves on impossible rock ledges. Camera or phone. Make sure you have lots of space to add many pictures and videos, as you fill enjoy so many different views. If you plan to walk, even on the Rim Trail, you should wear sturdy, covered shoes. At busy times of year, finding convenient parking, close to the Village can be very difficult. Its good to drive around the Village Loop one time, just so you have a good orientation of how things are laid out. Try and do this in the evening or early in the morning. 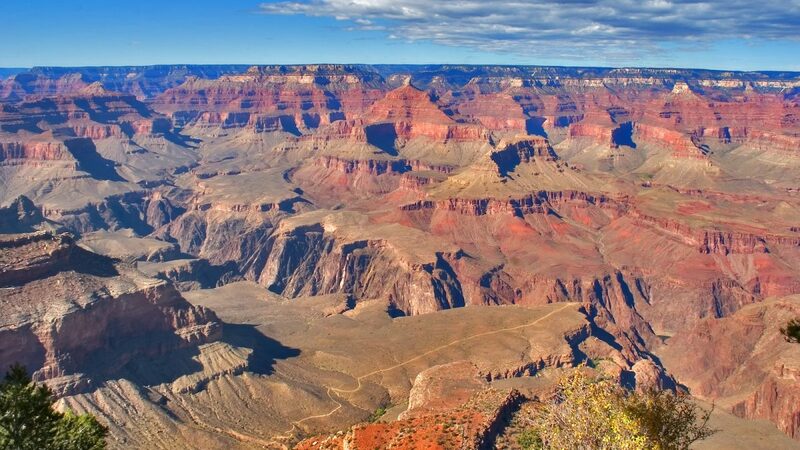 Once you understand where the different places are located in and around the Village, its very easy and convenient to use the large sized parking lots, and then use the free shuttle service to get to the places in the busiest parts of Grand Canyon Village. Desert View Drive is easy to drive yourself and each major viewpoint has its own parking area. Since visitors are always arriving and leaving, you should find parking, but be patient when its very busy! Which is the best entrance to the Park? 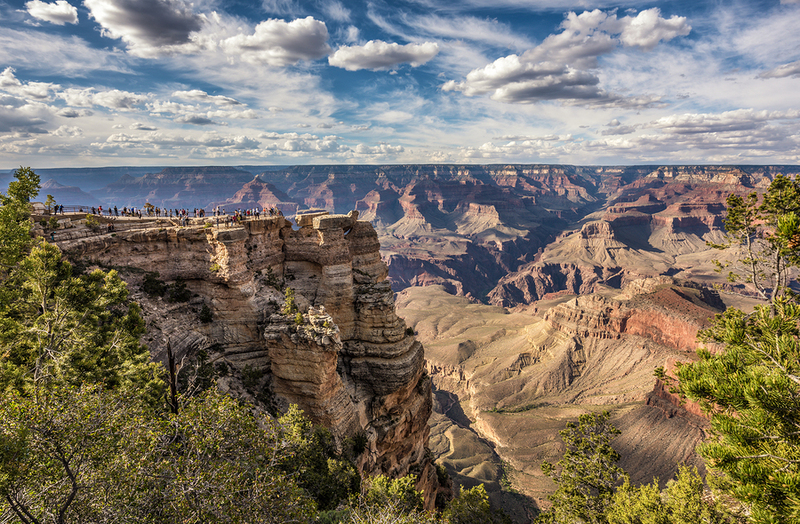 Most visitors arrive at the Grand Canyon National Park South rim from either Flagstaff or Williams, Arizona and use the South Entrance to the Park. Since it is the closest and most convenient entrance for most visitors, it can be very busy and you may have to wait in a line up to purchase your entry pass. There is a “speedy” lane for entry if you already have a pass – this is highly recommended to make your entry as fast as possible. The other entrance is the East Entrance and is an option if arriving from Flagstaff or if you are arriving from the north. 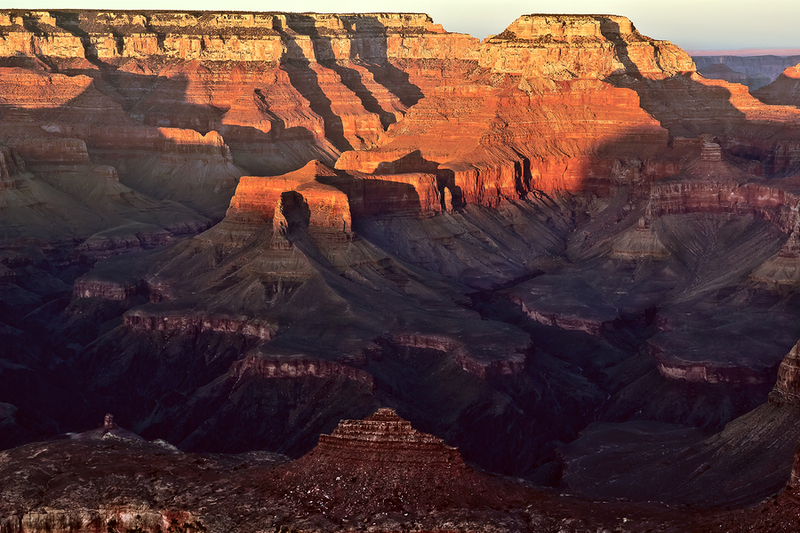 This entrance is less busy and you will drive the spectacular Desert View Drive to access the Grand Canyon Village. I'm already at the Park, is it still helpful to have the tour? Yes. The tour is filled stories as you drive from place to place, so you will find it helpful and informative while you are exploring. And no matter which way you exit the Park, the drive away is filled with entertaining stories to keep you entertained all the way to Cameron, Flagstaff or Williams. Can I listen to the tour on the shuttle buses? Yes. The tour will play the commentary while you are on the tour route. If you use the shuttle from Tusayan to the main Visitor Center, you will hear commentary all the way, and back. The village loop shuttles do follow the driving tour routes for some sections, but not for their entire routes. There is no commentary on the Hermits Rest route as this is shuttle bus-only for the majority of the year. If listening on the shuttles, please make sure to use ear buds.